This is the base cone 6 Alberta Slip recipe. The 20% frit makes it melt well to form a transparent amber glossy. Frit 3134 has traditionally been used and it is the best for some additions (e.g. rutile for floating blue). However we recommend Frit 3195 when possible, it imparts a lower thermal expansion for better fit (less crazing). For use on P300 we recommend Ferro 3249 (or Fusion F-69) for the lowest possible thermal expansion. This base can be used as-is (with no colorant or variegator additions). It is most useful to replace regular transparent glazes on dark-burning clays (to avoid issues with micro bubble clouding). If not cooled slowly, the effect is a very clean, speck free amber transparent glossy that showcases the dark body color below. 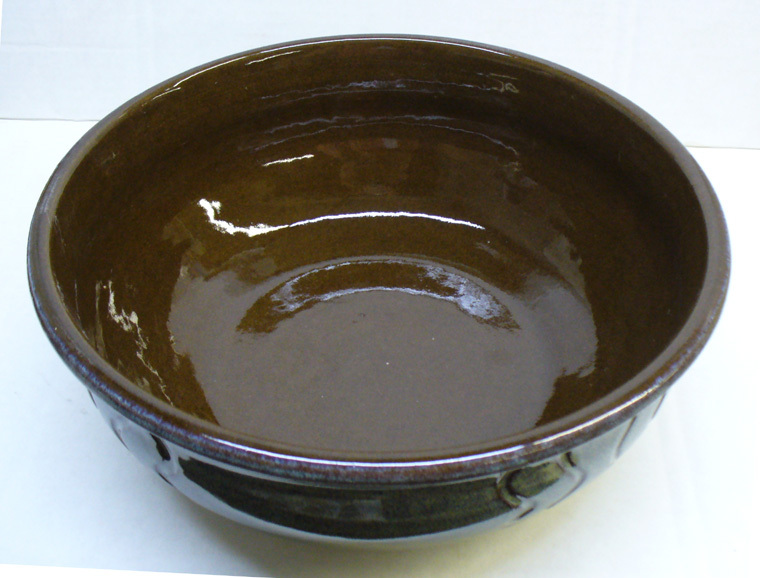 On light-burning clays and even porcelains, celadon green effects can be produced. 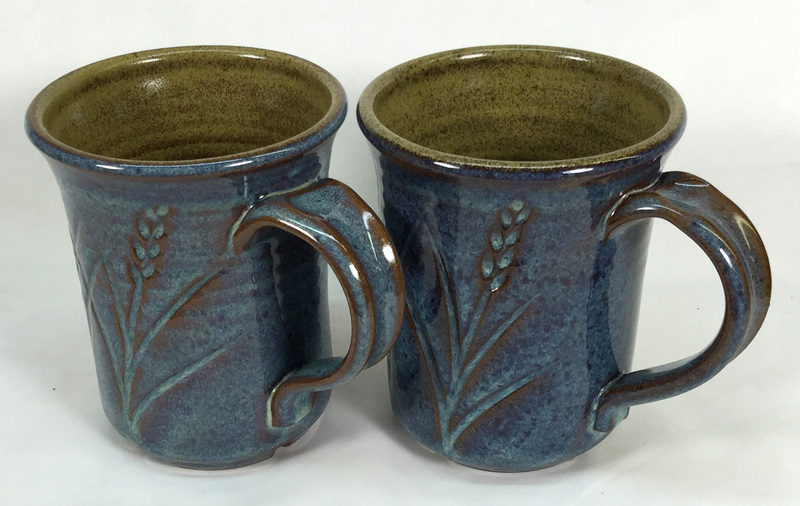 However, if this glaze is cooled slowly (which often happens in heavily loaded kilns) it will form surface crystals. These can produce beautiful effects (depending on cooling speed) that normal clear glazes having added iron oxide powder will normally do. For consistency in appearance it will be necessary to program the descent of your firings to match the slowest natural descent you normally get. Then, on that baseline, you will be able to depend on consistent results. By adding 1% tin oxide you can prevent crystallization (see photo below). 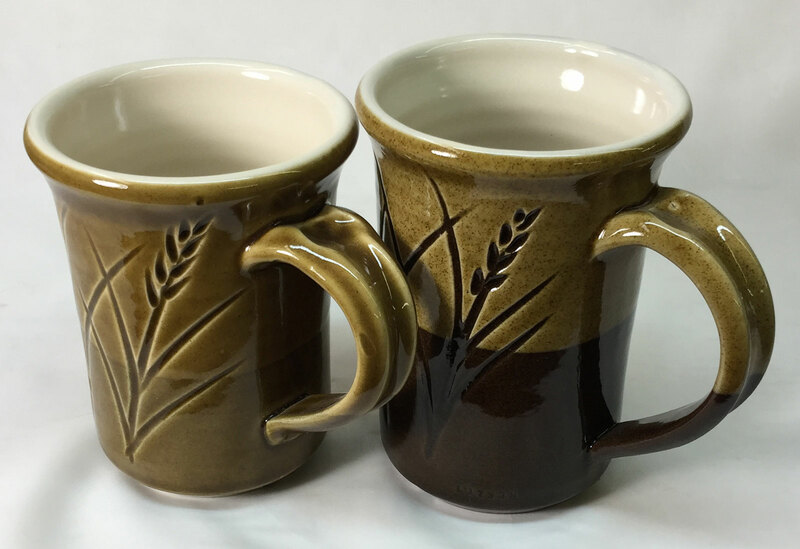 This recipe is excellent base for additions and many of these are documented on the cone 6 glazes page at http://albertaslip.com. 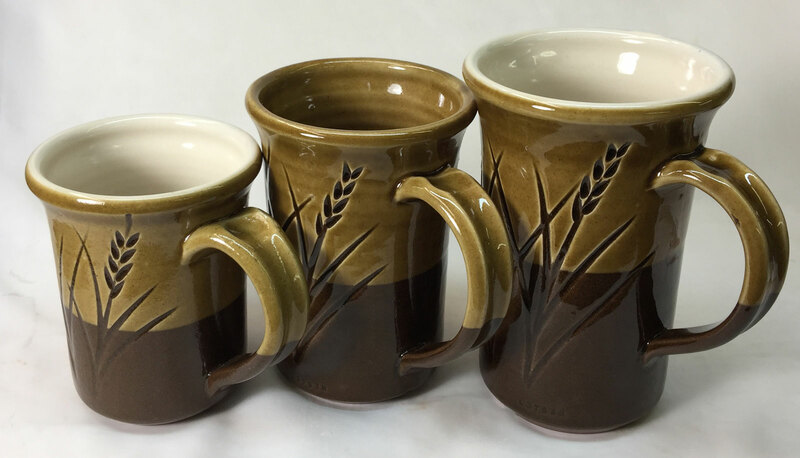 Glossy brown to black colors require much less stain than does a standard clear base glaze. Reactive rutile and titanium effects that depend on the presence of some iron also react really well with this base. As noted above, assess the fit with your clay body to be sure there is no tendency to craze (by stressing ware using a 300F-to-icewater IWCT test ice). If crazing occurs switch to frit 3195 (GA6-B). If it still occurs (e.g. with a porcelain), switch to frit 3249. Note again: While these frits still produce the glossy amber transparent effect they may not react the same with colorants, especially the rutile blue. Glazes having a high percentage of Alberta Slip are most often prepared using the traditional method of simply adding water until the preferred viscosity is achieved (the material has inherent properties that produce functional slurries for dipping). Control of drying shrinkage and slurry character is achieved by varying the proportion roast and raw powder in the recipe. For us, a weight ratio of 88 water to 100 powder (2200 water for 2.5kg of powder) produces a 1.45-specific-gravity slurry that, although fairly runny, gives the right thickness on 1-2 second dip on 1850F bisque-ware (there is some dripping, but coverage is even and it is quick drying). This recipe actually does not respond to flocculant additions that gel traditional mineral-blend glazes to a thixotropic state. The first is on GA6-A, the rest are on GA6-C (Alberta slip glazes). The last has been applied too thickly, the brown band is dry and blistered. The GA6-A Alberta Slip:Frit 3134 (80%:20%) glaze is excellent as a liner for dark burning bodies, it looks much better than a regular transparent recipe (which often form clouds of bubbles on red bodies). The iron in this glaze makes it fire an amber color on buff burning bodies (not very attractive), but on red bodies it brings out the natural color of the clay. 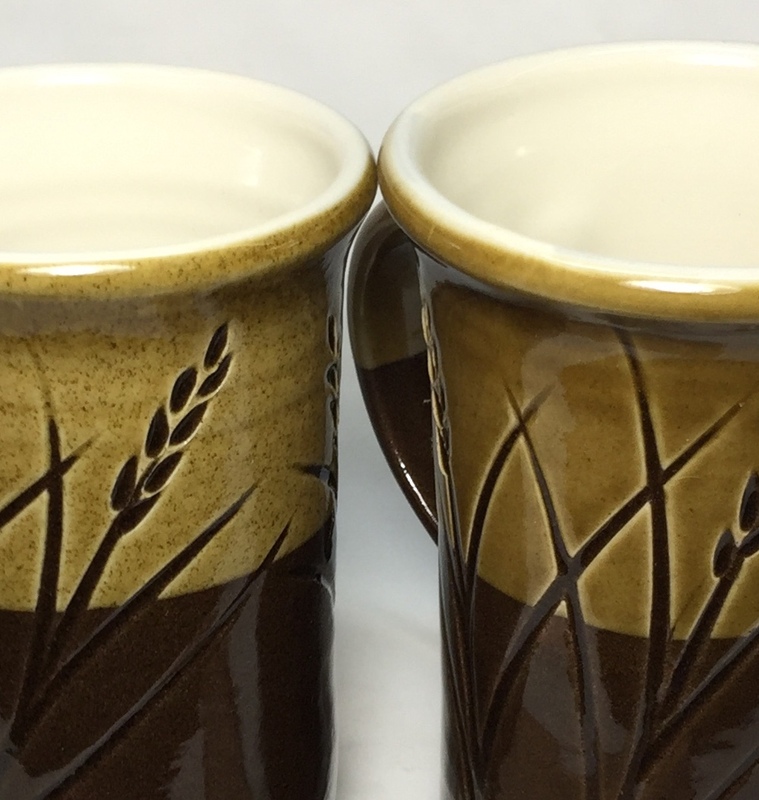 These two mugs have the Alberta Slip base cone 6 GA6-A glaze on the inside. The left one is cooled normally (kiln off at cone 6 after soak). For the mug on the right the kiln has been soaked for half an hour at 1800F on the way down. This was done to develop the rutile blue glaze on the outside, but during this period crystallization occurred on the inside. If you need to cool slow (for the Alberta Slip rutile blue) but would like the transparent liner, add 0.5-1% tin oxide to the GA6-A to impede crystal growth. The body is Plainsman M332, a coarse particled brown to red burning cone 6 body. 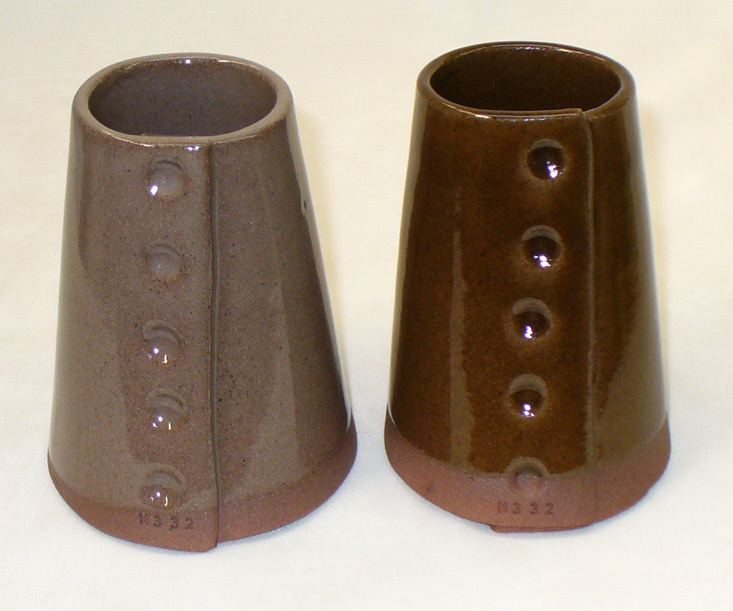 With the G2926B transparent cone 6 glaze (left) and the GA6-A Alberta Slip base (right). The latter brings out the color of the body much better, the former is milky, bubbly and yucky! 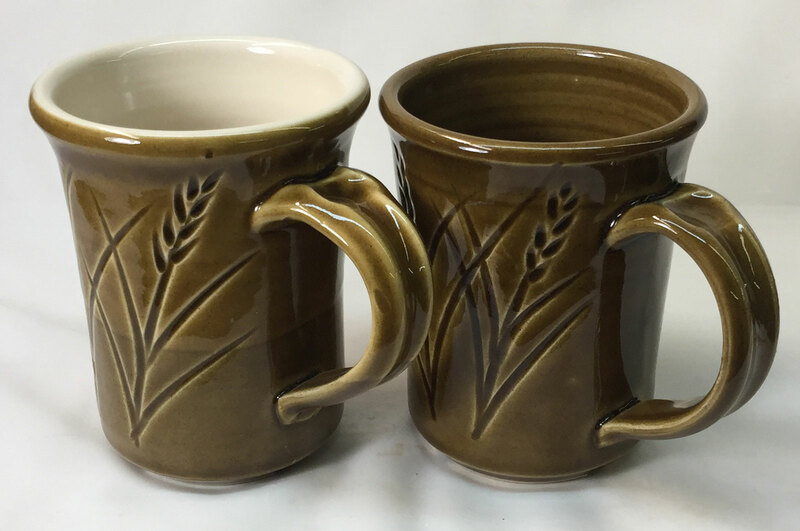 Both of these mugs were soaked 15 minutes at cone 6 (2200F), then cooled at 100F per hour to 2100F and soaked for 30 minutes and then cooled at 200F/hour to 1500F. This firing schedule was done to eliminate glaze defects like pinholes and blisters. 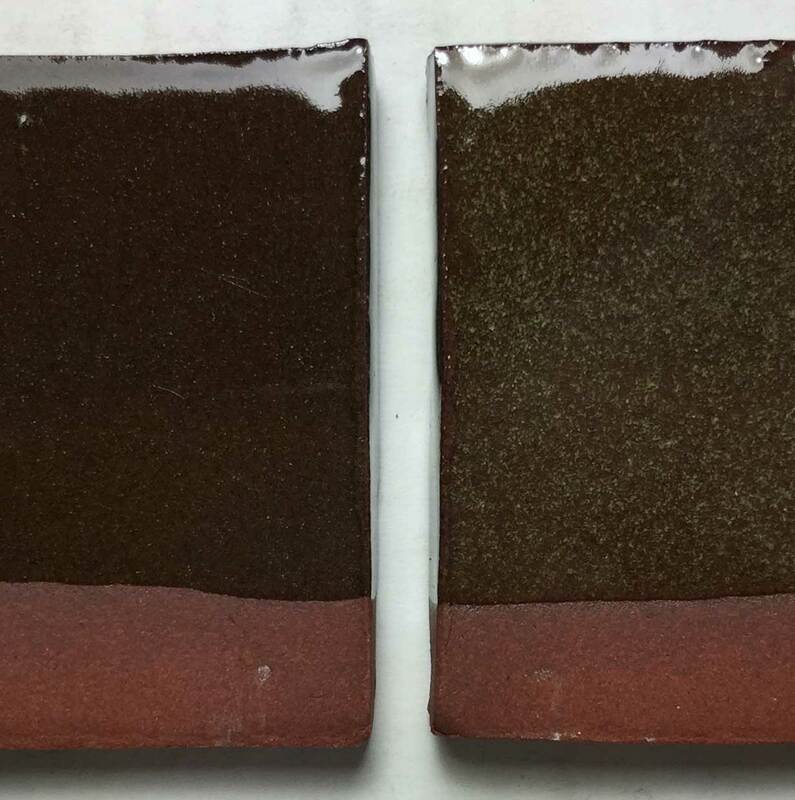 Normally the GA6-A glaze crystallizes (devitrifies) heavily with this type of firing, but an addition of 1% tin oxide to the one on the left has prevented this behavior. An amber-colored glaze that produces a clean, micro-bubble-free transparent glass. Works well on brown and red burning stonewares. 2010-11-20 - Works well on all types of bodies, very reliable. For mixing instructions please see the master recipe, GA6-A.